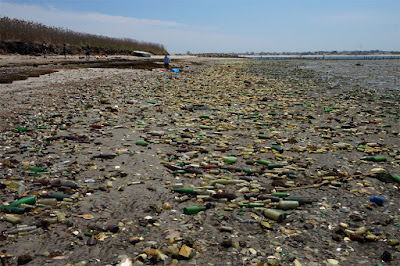 Dead Horse Bay is west of Floyd Bennett Field and south of Marine Park on what was the southwest shore of Barren Island. 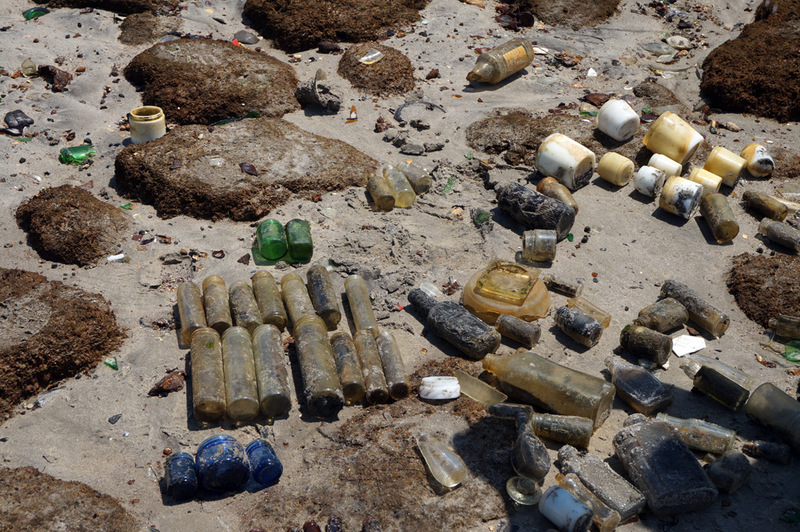 The bays’ islands, including Barren Island, were linked to the mainland by landfill covered with sand. The Dead Horse Bay moniker comes from the 7 horse rendering plants that once existed in the area. 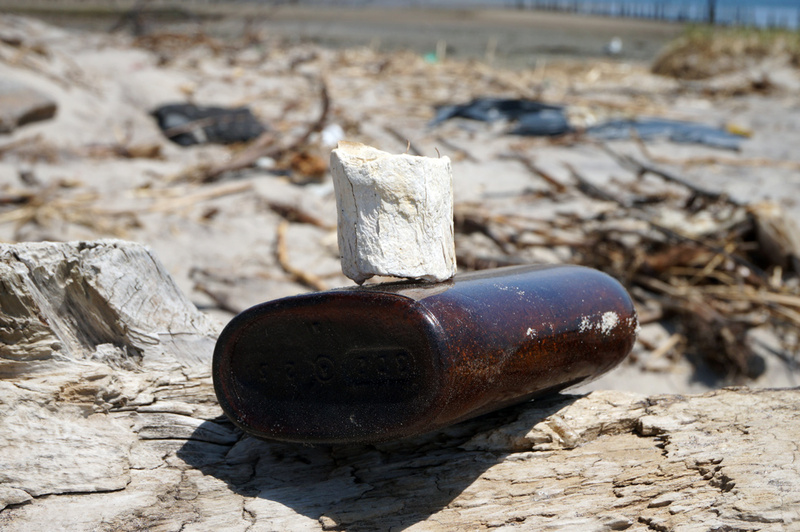 While horse bones can still be found along the bays shoreline, the debris from the ruptured 1953 landfill that litters the beach creates a more memorable impression. Urban explorers and scavengers come to sift through what lies on the surface for objects to use as a souvenir, craft project or as decoration; although, removal of anything from the bay is discouraged. 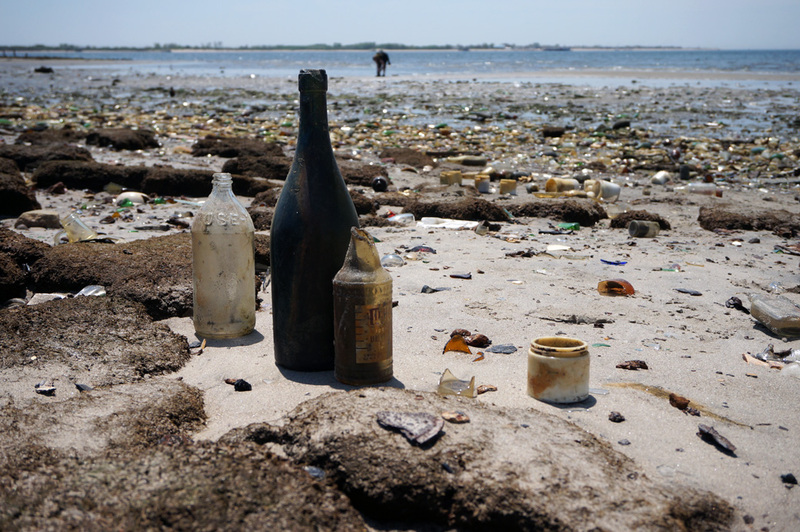 The ruptured landfill contains what was left behind when people were forced to abandon their homes under imminent domain for the construction of Robert Moses’ Belt Parkway. The majority of what can be found on site are various mid century glass bottles, porcelain and shoe soles. 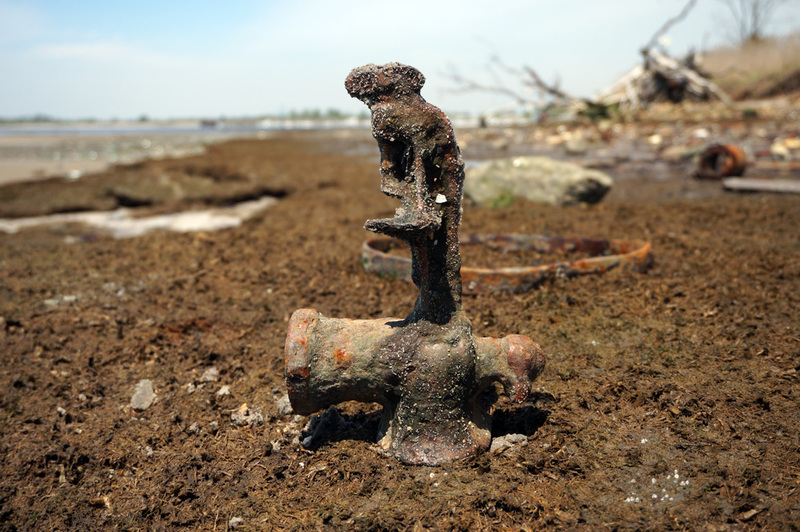 There were conflicting visions of what Dead Horse Bay would become, many of which were tied to the fate of Jamaica Bay. 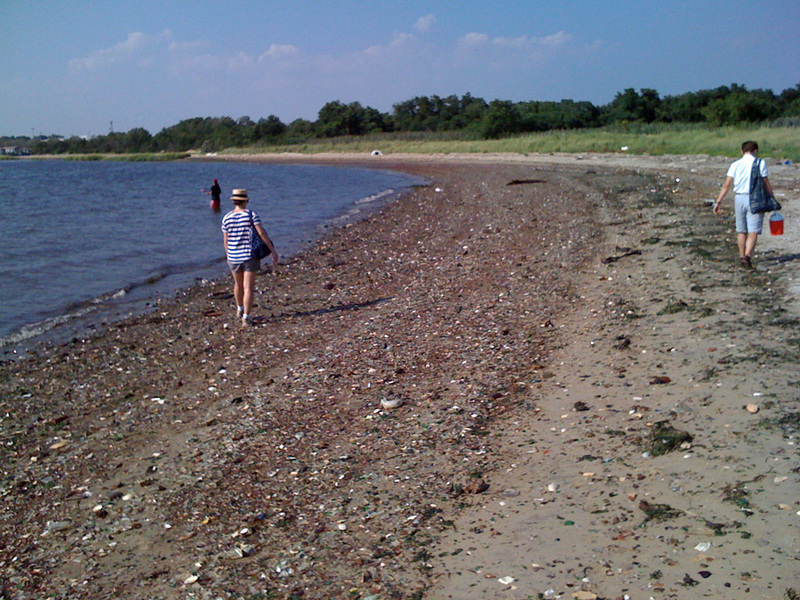 Various plans that existed for Jamaica Bay included a deep-water harbor, garbage dumping on the bays’ islands, and recreational space / nature preserve. The plans for turning the bay into a harbor died with the stock market crash in 1929 and Robert Moses convinced Mayor LaGuardia that using the bay as a dump was not in the city’s best interest. Moses favored the idea of creating parkland out of Dead Horse and Jamaica Bay. There was a planning report created by the Park’s Department in 1938 that called for the “complete rezoning of the bay and its surrounding area; transferring all islands to the Park Department for recreational use”. It was this report that Robert Moses used to advocate for the bays’ preservation and discourage its use as a dump or port. Moses wrote” Here in Jamaica Bay lies the opportunity for a place within the limits of the city where the strain of our city life can be relieved, where the nerves of the tired workers may be soothed, where the old may rest and the young may play.” Most of Dead Horse bay remained undeveloped and in 1972 it was acquired by the federal government as part of the Gateway National Recreation Area and has been national park land ever since. 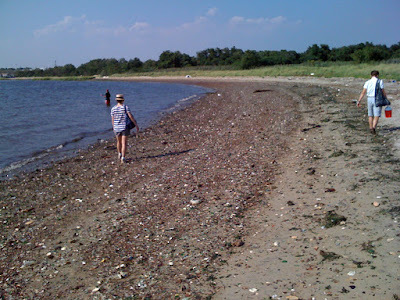 I have been to Dead Horse Bay twice, once at high tide and once at low tide. 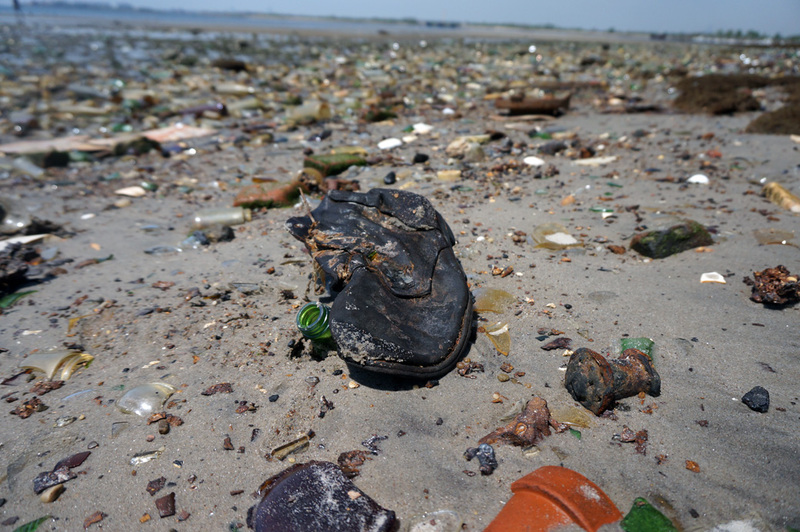 Low tide provides the best opportunity to see all of the landfill ephemera. I found the atmosphere at high tide to be more interesting though. 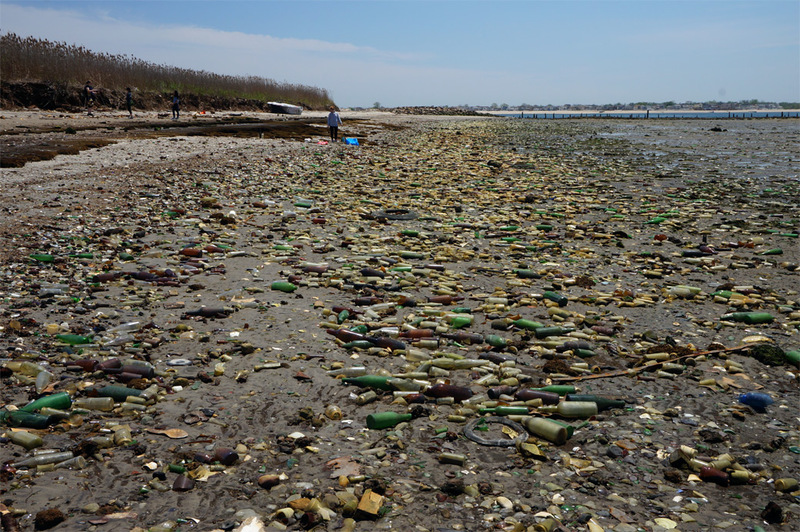 At high tide the glass bottles clink together as waves lap the shore giving a voice to the ghosts of the people who’s lives were uprooted for the Belt Parkway. This clinking adds an eerie atmosphere to the bay. 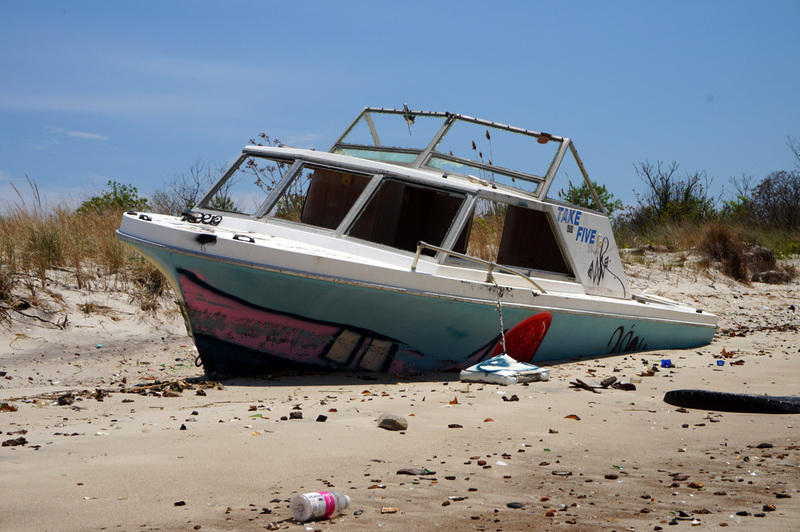 As a testament to the beach’s eeriness, the author of Scouting New York shot Dead Horse Bay as a possible location for a post apocalyptic film set.